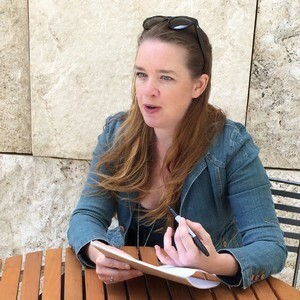 Catherine Bell is a UX/UI Designer specializing in art museums and fine artists. She designs tech to spark a human connection with artifacts of the past and present. Clients have included Barbara Kruger, David Byrne & Brian Eno, Sam Durant, Cassils, the Robert Mapplethorpe Foundation, and the Getty Museum. Her goal as an educator is creating pathways for students to become responsible problem solvers, so they can design for the human motivations that give technology power and purpose. She holds an MFA from CalArts in Photography and Integrated Media.